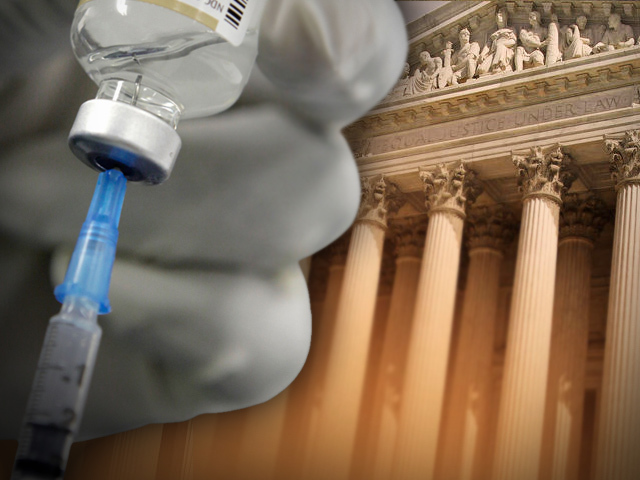 (AP) WASHINGTON, D.C. - The Supreme Court ruled Tuesday that a federal law prohibits lawsuits against drug makers over serious side effects from childhood vaccines. The court voted 6-2 against the parents of a child who sued the drug maker Wyeth in Pennsylvania state court, for the health problems they say their daughter, now 19, suffered from a vaccine she received in infancy. The ruling was a stinging defeat for families dissatisfied with how they had fared before a special no-fault vaccine court.